To understand why fentanyl cleanup is important, you need to understand what fentanyl actually is. Fentanyl is a synthetic opiate narcotic; a prescription drug used primarily for cancer patients suffering from severe pain. It is roughly a 100 times more powerful than morphine. 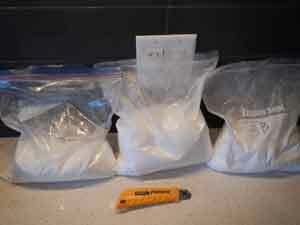 Heroin, cocaine, oxycodone, and other drugs can be laced with fentanyl, in powder, liquid or pill form. Fentanyl often comes in similar packaging as other drugs. If you are a new drug user, you are particularly at risk if you use drugs containing fentanyl. 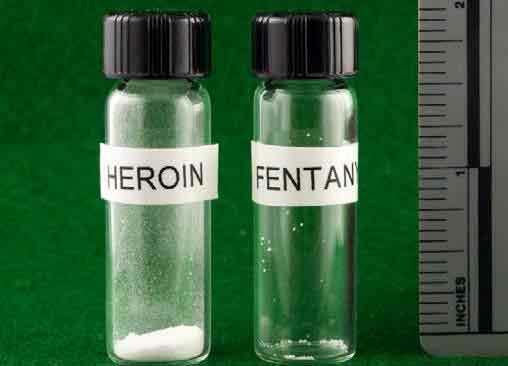 You can’t see it, smell it or taste it, but if your drug of choice contains fentanyl, it can most certainly kill you! As far as we know there is no rapid detection test for Fentanyl alone. However, because Fentanyl is a synthetic opioid (pain reliever), it can be tested to confirm the substance contains heroin, cocaine, oxycodone, morphine and codeine. A more detailed test can be performed by the RCMP Clandestine Lab Enforcement and Response (CLEAR) team in order to pin point and confirm the presence of Fentanyl. Unfortunately, this process can take time which can often delay the criminal conviction process. This can further delay the fentanyl cleanup process so time is of the essence. How to Detect a Fentanyl House When Entering a Property? Most of us are aware of the potential danger when entering or inspecting a property for the first time. We are somewhat trained to keep a lookout for any illegal activity and the unknown dangers when viewing these homes. We know what to look for when we suspect a grow op or a meth lab but do we know what to look for in a Fentanyl house? Property managers, landlords, realtors, neighbours and even first responders are most likely to be the first to discover a lab and put themselves at risk by entering abandoned or vacant properties. What you may think is a manufacturing lab may not necessarily be. So far, the properties discovered in Alberta are used as a processing center to compress Fentanyl into pills and distribute though out the supply chain. In most cases, these properties are already under surveillance by the police as they are aware of the activity in that area. It is important that we work together to identify these areas and inform the police of any suspicions you may have. 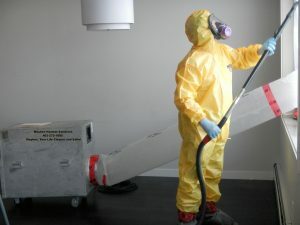 Fentanyl is a very toxic and potent drug which is why fentanyl cleanup must be completed by professionals. This is a serious matter that needs to be dealt with extreme caution. If you have any doubt or suspicions regarding your tenants, it is important when doing a home inspection to first contact your local police to find out if the property is under surveillance for any illegal activity before you enter the property. A landlord received complaints from several neighbours about one of his tenants who recently moved in so he decided it was time to pay his tenant a visit. After giving the tenant the legally required 24 hour notice to enter the premises, he proceeded to ring the doorbell while waiting for someone to answer. When no one answered the door, he continued to enter. As he stepped inside he noticed no furniture but quickly excused this, thinking his tenant was young and probably didn’t have the money to furnish a house. The house was very dusty and dirty. In the kitchen, he found a powdery residue in a bowl and white powder on the floor. Still not cluing in, he then advanced upstairs where he only saw a bed and some personal items. The back yard had chop saws, table saws and many other tools as a handyman would normally have, so this could lead to the assumed dry wall dust throughout the house (white or green powder). In the basement, he saw a heavy hue of aerosolized dust, shipping material, lumber and two Industrial stainless steel machines on top of some large boxes (known as pill pressing machines and powder mixers). At this point, concerns and curiosity arose as to what these machines were used for and what was inside the boxes. It is Illegal to go through a tenant’s personal possessions when undertaking a home inspection, so he quickly observed the rest of the property to confirm his suspicions before calling the police. After finding 500-gram bag of over the counter caffeine powder, he realized this was suspicious, so he called the police to check into the rest of the boxes. Sure enough, the police discovered bags and bags of caffeine and glucose powder in the boxes. 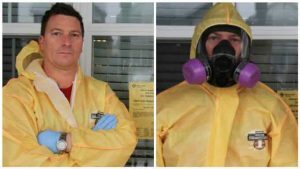 The tenant was then located and arrested and Alberta Health Services placed an unsafe for occupancy order on the property while the substance was forwarded to a lab for further analyzing and the property was ready to have the fentanyl cleanup process started and completely remediated. 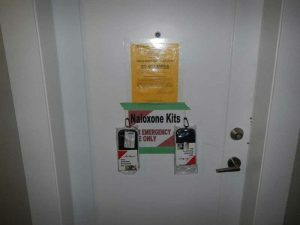 • Fentanyl pills, are generally white or green and may have similar markings to a Percocet pill. 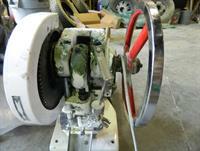 • Keep an eye for any equipment looking like a pill pressing machine and/or powder mixers. • Lumber pieces and other types of wood (possible to stabilized the pill press (Concrete block and other weights could also be a sign). • Heavy Dust – Any White or Green Powder can be found aerosolized, forming a hue on most surfaces in the property contents and structure. We are unsure if the coloured greenish dust is caused by the pill processing process or from the dye packs. Removing this dust is the most important part of the fentanyl cleanup process. • Shipping Materials – Shrink wrap, tape and protective boxed corners for packaging materials because some labs could be suspected of supplying for many locations. • Over the counter caffeine and glucose powders that are used as fillers when compressing into pills. W-18 powder (is a form of synthetic opioid and is 100 times more powerful than fentanyl) Benzylpiperazine (BZP) and Trifluoromethylphenyl¬piperazinem (TFMPP): all are known substances used to produce Fentanyl pills. Steps Involved When Discovering a Drug Lab or Processing Center And The Fentanyl Cleanup Process? Immediately remove yourself from the property without touching anything and call the police 911. After contacting the police, follow up to determine who the lead investigator is. If you are the victim, make sure you are listed in the police report as a victim.